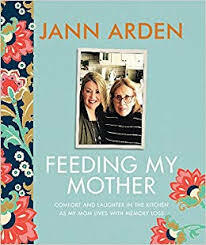 In case you missed it in the news, J.K. Rowling wrote another book under a pseudonym to see how her writing would fare without the hype of her very own name attached to it. But the secret was leaked, and the book immediately jumped to the top of the bestseller’s lists. The war veteran’s charity, to whom Rowling committed all of the proceeds because she was touched by their plight while researching the novel, is laughing all the way to the bank. The main character in the story is a wounded war veteran, and the same charity also received a tidy sum from the lawyers who leaked the info, by way of apology to the author. All of this is beginning to sound like a plot for yet another story! ‘The Cuckoo’s Calling’ is a nice little crime novel, complete with the requisite characters: 1) the struggling and troubled yet sharp private eye who despite his shortcomings, is still very loveable; 2) the ‘more than a pretty face’ assistant whose intelligence and quick thinking saves the private eye’s backside more than once, and enjoys working for him more than she thought she would; 3) the glam victim who ‘had it all’ but also had some reason to commit suicide; and 4) of course a whole host of dark and shady characters who all might have had a motive to commit murder in case it wasn’t suicide at all. At any rate, a crime novel ensues with a far higher vocabulary and complicated sentence structure than I have ever experienced in a book of this genre before. The Latin in the chapter headings should have been the biggest clue! When the leak first hit Twitter, an expert at Oxford was consulted to use his algorithm program to do a little sleuthing work of his own. He submitted for testing, a Harry Potter book, her other non-Harry novel ‘Casual Vacancy’ and a number of other crime novels. The results were conclusive. This book had the same writing style, word usage, and sentence structure as the other books by Rowling, with less resemblance to the other crime novels. Busted! 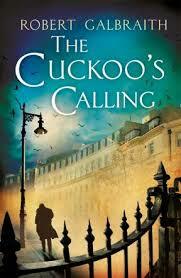 Aside from all the hype, ‘The Cuckoo’s Calling’ actually was a good read. I especially liked the characters who were believable and well drawn. I do not think that this is Rowling’s best work though. A crime novel should have a bit more suspense and a bit less character development to satisfy the die-hard lovers of the genre. The genius she was capable of in the Potter series has, in my opinion, never been repeated in her other works, but I don’t blame her at all for trying. If Cormoran Strike reappears in a sequel, (and it has already been leaked that ‘Galbraith’ will produce a second in the series) I will definitely want to see what he and his indispensable assistant are up to next! This entry was posted in Fiction and tagged crime, J.K. Rowling, Robert Galbraith, The Cuckoo's Calling, war veteran. Bookmark the permalink. Fascinating! I just finished reading The Storyteller, by Picoult and looked back for your take on it. Maybe I liked it because I’ve only read one other book by her and wasn’t comparing it to her others, but I do agree with some of your insights. I too had figured it out, and wasn’t satisfied with forgiveness and mercy resolution. I’ve just started reading What Alice Forgot. Thanks for the tip on Liane Moriarty, What Alice Forgot. Never heard of her. I will investigate! I agree that the Harry Potter series is (and will always remain) her best work. “The Cuckoo’s Calling’ wasn’t horrible, but it was much too slow. I liked the characters a lot, but feel like she put too much detail into useless things. It made the pace torturous almost. So true, it was a slow read. I felt the same way…good character development but should have had more suspense.